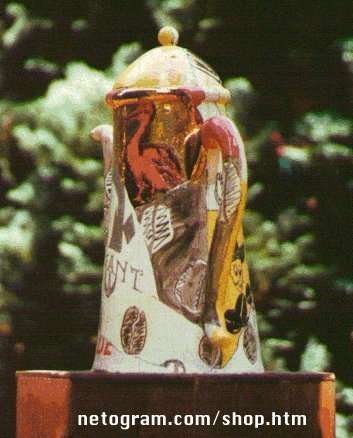 This ceramic masterpiece is for sale. We did put a selling price, but can't give you a quote for shipment since we don't know where you live ;-) So please have a look and don't hesitate to contact us if you want to discuss transport to your front door. 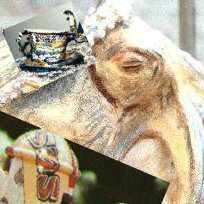 the ceramic art on this page is available! The word ceramics comes from the Greek keramikos, meaning pottery, which in turn comes from keramos, meaning potter's clay. 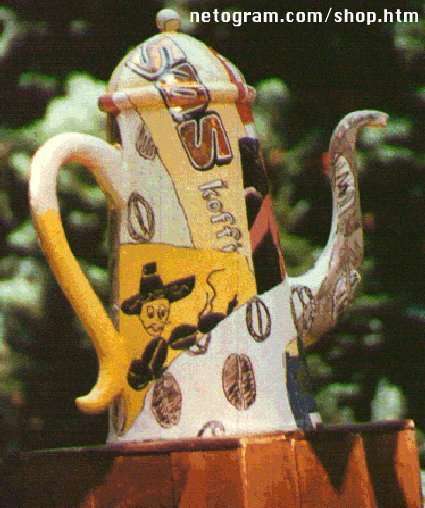 Most traditional ceramic products were made from clay (or clay mixed with other materials), shaped and subjected to heat, and tableware and decorative ceramics are generally still made this way. In modern ceramic engineering usage, ceramics is the art and science of making objects from inorganic, non-metallic materials by the action of heat. It excludes glass and mosaic made from glass tesserae (source: Wikipedia).